The average factory has numerous screen and awning needs, and Total Cover has a solution for them all. 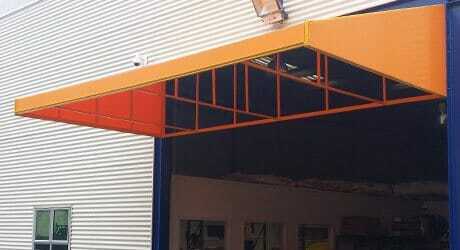 Wedge awnings to provide protection to factory entrances and offices windows etc. 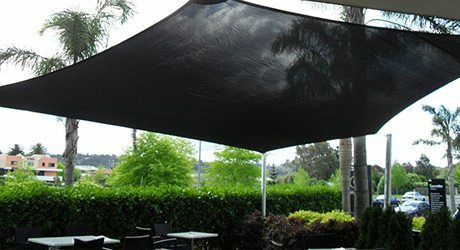 Shade sails for staff outdoor areas such as off the staff canteen. 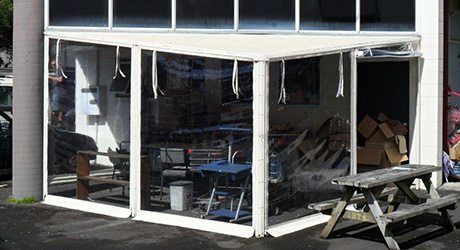 The team at Total Cover have over 20 years’ experience in providing factories throughout Auckland with their awning and drop-down screen needs. 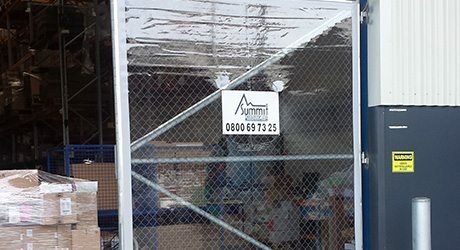 There are many reasons why you might want a heavy-duty drop-down screen or curtain in your factory, for instance, to separate dusty areas from clean air areas or food processing areas from storage areas. Whatever the reason, Total Cover has an extensive range of materials that can be fashioned into a screen that will meet the needs of your factory. Our drop down curtains and screens are easily rolled up when required. We even have motorised screens. For factory and office areas, awnings provide shelter from sun and rain. We custom design, manufacture and install a full range of awnings, including retractable awnings that are easily folded away when not in use. We can even provide motorised retractable awnings. For factory and office areas, awnings provide shelter from sun and rain and can be sign-written with your company name and logo making your business easy for clients to find. The words “shade sail” often bring to mind large green sails at your local school. A Total Cover Shade Sail is far classier than that. 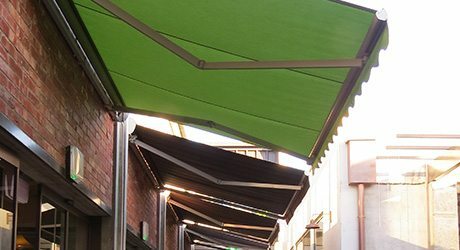 We have a range of colours and will custom design a size and shape to provide shade for your factory’s outdoor areas – ideal for the staff canteen or relaxation areas. We even have Retractable Shade Sails that can be drawn back when you’d prefer full sunlight or if bad weather is coming. For a strong and robust roof for your deck, you can’t go past a fixed-frame canopy with either PVC or polycarbonate roofing. A Total Cover canopy provides additional outdoor living space with protection from the rain and harmful UV rays. For a freestanding shelter, a Total Cover Pergola is the perfect solution. 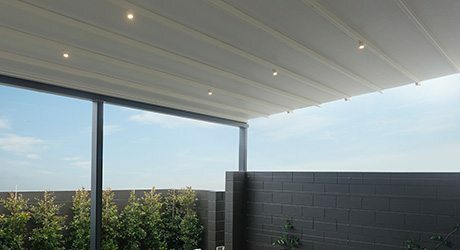 We can build a pergola in the smooth and modern lines provided by aluminium framing and polycarbonate roofing.